We’ve mentioned a couple of times that we’ve been traveling like mad over the last few weeks. We drove up to Boston to see Krister’s family, flew down to Florida to see Kristin’s mom’s family, and then flew out to Vancouver where Krister gave a poster presentation at a pathology conference. So, we’re going to catch you up in one (huge) post with lots of pictures! We spent several days up in Boston. We got to see Kasen’s Uncle Billy, Uncle Kendrick, and Aunt Paula. He hadn’t seen any of them in a while, but made up for lost time. 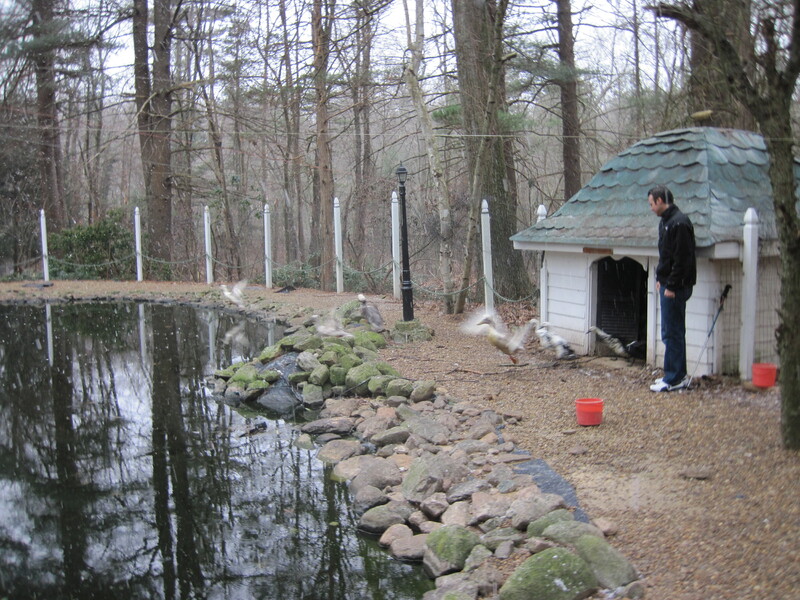 That’s an action shot of Krister letting his parents’ ducks out in the morning. They come flying out of their house at full force and splash into the water without wasting any time. 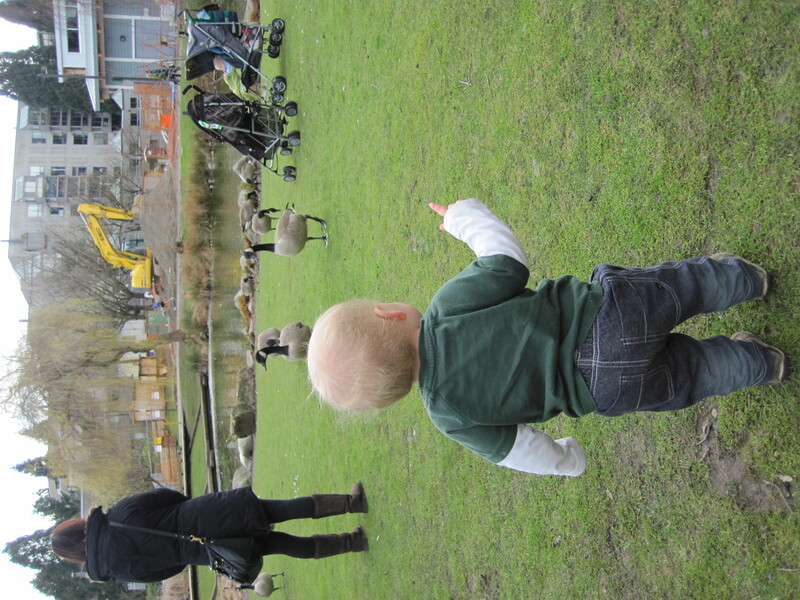 Kasen found himself obsessed with the ducks (and the chickens). As time goes on, Kasen becomes more and more fascinated by ducks. Probably one of the reasons we didn’t take too many pictures was that during our trip (in mid-February) is that Kasen decided to start walking while we were there. 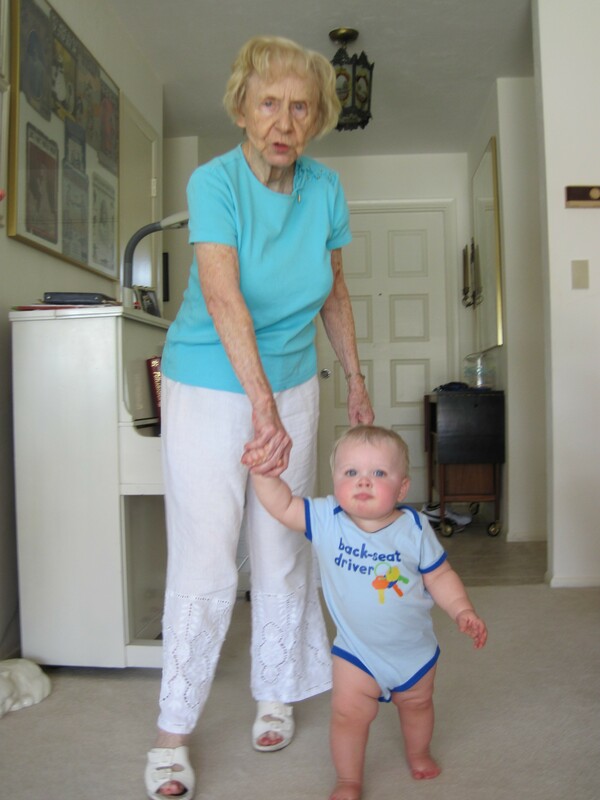 He took his first steps just after his birthday back in December, but was not really interested in walking. He loved crawling. We got him some new shoes in February and off he went! During this trip he decided that he was done crawling (even though only a couple days before he refused to walk!). A week later, we set out for Florida. 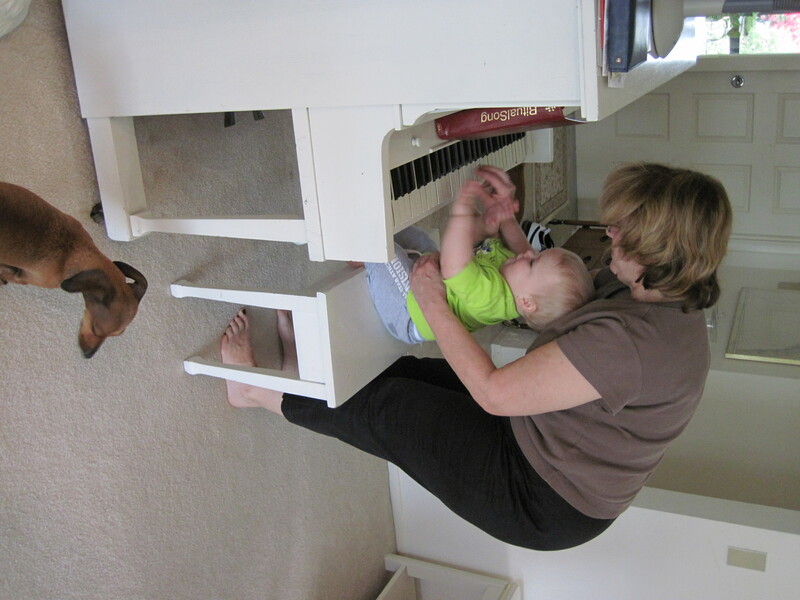 Kasen had fun playing with Bapcia and his great-grandparents Grammie and Grampa. 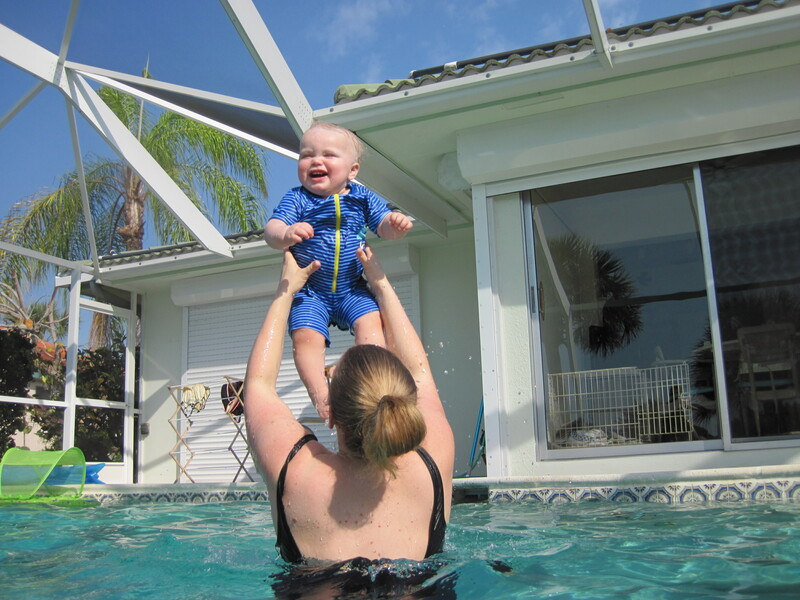 He also had a great time in the pool! 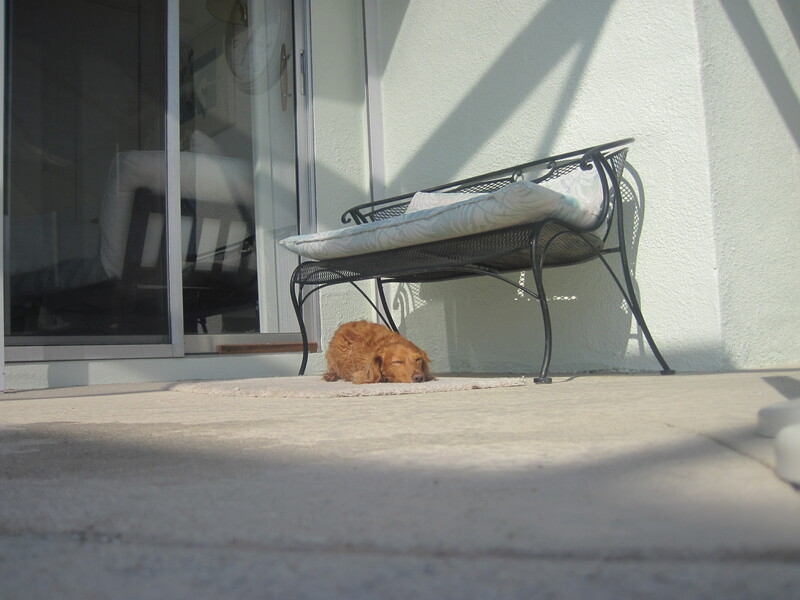 Gigi enjoyed some fun in the sun as well. We were only able to spend the weekend there, but we certainly made the most of it. 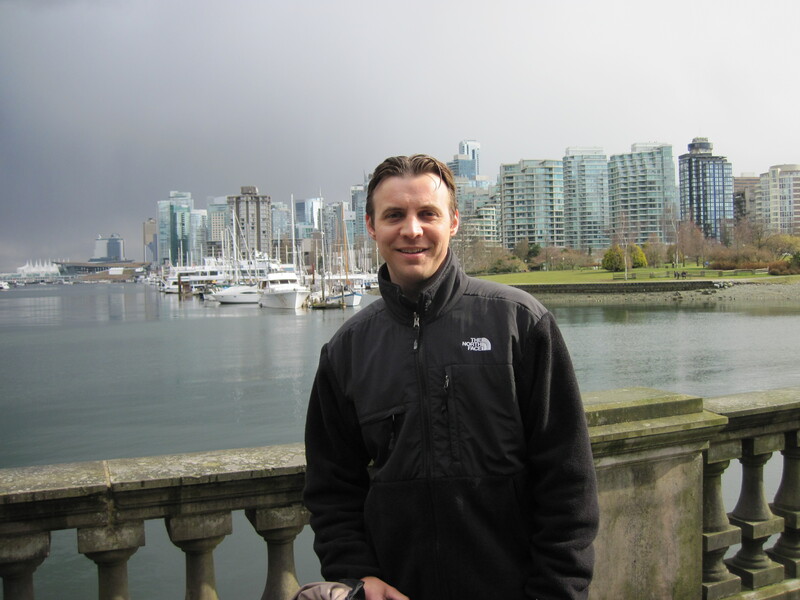 Only a week and a half later, we set sail, err, flew out to Vancouver, British Columbia so Krister could present a poster at a pathology conference. His poster was called Sox11 Is A Marker Of Myxoid/Round Cell Liposarcoma. He’s smart. We spent a lot of time in Stanley Park, which is a big park right in the city – and near our hotel. Krister even made it out with us a time or two. 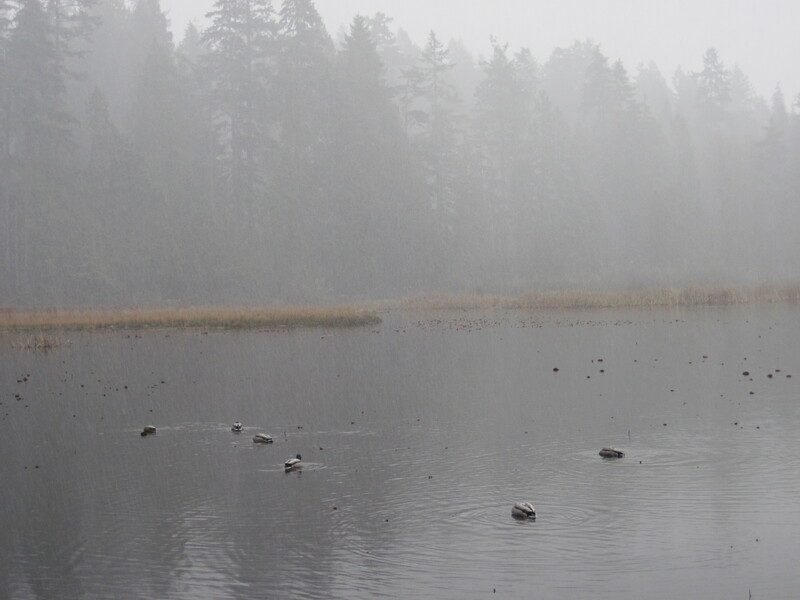 If you look closely, you can see that it’s hailing so much that the hail is actually accumulating on the ducks’ backs. Kristin and Kasen celebrated St. Patrick’s Day at Vancouver’s “CelticFest” – a big party downtown with Celtic music and various vendors. 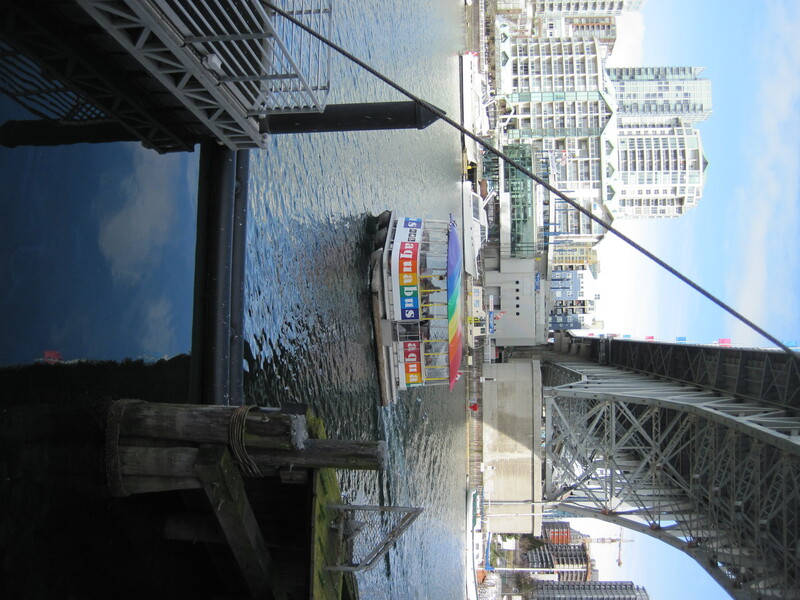 Then we set out for famous Granville Island. Granville Island is an artsy little shopping area with some cute parks and lots of good shops. Then we set back to town on a colorful little ferry. Oh, and did we mention that Kasen is obsessed with ducks? Well, he thinks all birds are called ducks, so that includes geese. 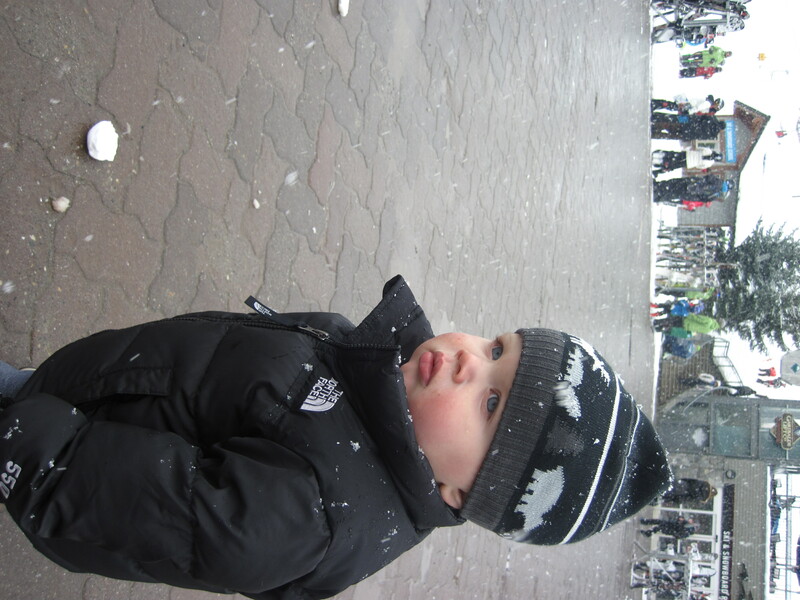 We even were able to take a very quick trip up to Whistler, but Kasen wasn’t too sure about the snow…. The rest of the time we spent at the Vancouver Aquarium. 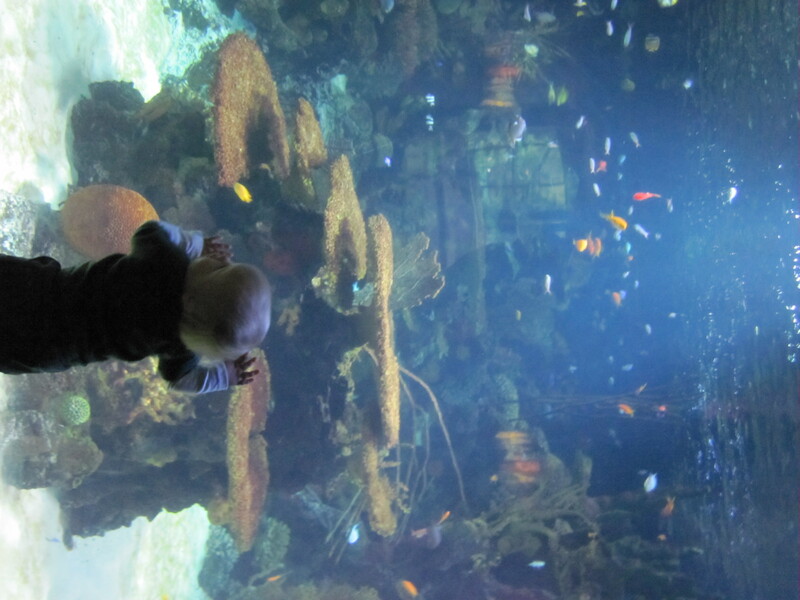 The Aquarium was also close to our hotel and kept our little dude quite entertained. And now we’re home-sweet-home for the indefinite future. Thank goodness because travelling with a toddler is exhausting!